Bobbi Larson was appointed CASA’s executive director in July 2012. She is responsible for overall management of the association. Bobbi has worked to raise the level of professionalism and leadership that CASA offers its members through building a high-functioning, cohesive team of staff and consultants; strengthening conference programs, and delivering balanced budgets each fiscal year. Her goal is to position CASA as the most trusted, credible and effective advocate for California wastewater agencies. Prior to assuming her current role, Bobbi served as CASA’s contract director of legal and regulatory affairs as a shareholder with Somach Simmons & Dunn, a Sacramento law firm where her practice emphasized water quality law. 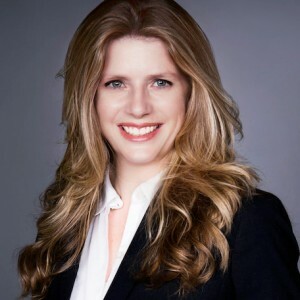 Bobbi earned her JD at the University of the Pacific, McGeorge School of Law, and her BA in Political Science from the University of California at Riverside. Greg is CASA’s subject matter expert on matters pertaining to renewable resources. He manages emerging issues at the local, state and federal level and within the private sector on all biosolids, renewable energy, recycled water, climate change mitigation and related issues. Greg has been with CASA since 2007. Prior to joining CASA, he served as the state biosolids coordinator for the Wisconsin Department of Natural Resources, where he represented all states in the nation, by their election, to the USEPA on all biosolids issues. Greg holds a BS in Civil and Environmental Engineering from the University of Wisconsin and is a registered professional engineer. Adam Link leads a variety of legal, regulatory and legislative initiatives for CASA. He regularly works with state and federal regulatory agencies, the California Legislature and other trade associations and industry groups, while also managing several operational aspects of the association including communications, budgeting and conference planning. Adam directs the CASA regulatory workgroup, helps develop the association’s position on key regulatory issues and policies involving water quality, and serves as lead staff for the CASA attorneys committee and point person for CASA’s involvement in litigation of significance to the wastewater industry. 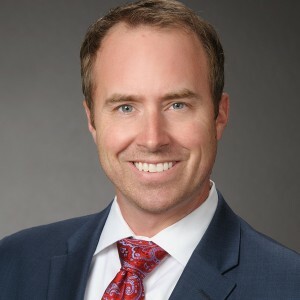 Prior to joining CASA in 2013, Adam was a practicing attorney with the law firm of Somach, Simmons, & Dunn, focusing on water quality, environmental and local government issues. He has also previously worked in the California Legislature and for the business consulting firm Accenture. Adam holds degrees from the University of California, Santa Barbara, and University of the Pacific, McGeorge School of Law. He is a member of the California bar and registered lobbyist. Debbie Welch has been with CASA for more than 15 years. Under the leadership of the executive director, she manages and coordinates CASA’s conferences, meetings, awards program, member services, accounting, purchasing, and other general administration operations. Prior to joining CASA, Debbie worked for the second largest baking manufacturer in the nation for 19 years in the sales and marketing department, overseeing credit and collections and directing the company’s annual IronKids Triathlon in northern California. Debbie attended Sacramento City Community College and Heald Business College. She is a member of the California Society of Association Executives and a former Rotary International Exchange Student. Jessica Gauger manages CASA’s state and federal legislative advocacy initiatives in California and Washington D.C. In her role, Jessica is CASA’s lead advocate in the California Legislature and interfaces with elected officials, legislative staff, and other stakeholders to advance CASA’s public policy priorities. She also works in conjunction with our professional consultants in Washington D.C. to advocate on behalf of issues of interest to the wastewater community. Jessica oversees CASA’s state and federal legislative committee activities and all external and membership initiatives related to our legislative advocacy programs. 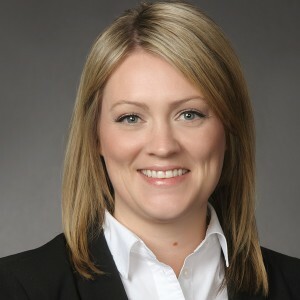 Prior to her employment with CASA, Jessica was employed with the contract lobbying firm, Michael F. Dillon & Associates, where she represented CASA as a contract legislative advocate, and previously worked on staff in the California State Senate. Jessica holds a Bachelor of Arts Degree in Political Science from San Diego State University. Cheryl MacKelvie supports the association’s membership, conference, accounting and meeting programs, including planning, organizing, and overseeing the operations and administration of the CASA office. She represents CASA’s programs, projects, and services to member agencies and the public, assists in the administration of various membership programs and performs other duties as needed. Prior to joining CASA in 2015, Cheryl worked for a prominent lobbying and association management firm supporting legislative advocates and clients, providing support to their Board of Directors for meeting planning, Board meetings, and related functions. Cheryl attended Gonzaga University and Bryman Dental School. Jared Voskuhl joined CASA as a Legislative and Regulatory Analyst in July 2018. In this role, he supports Adam Link and Jessica Gauger on a variety of programs and projects to engage the state’s legislature and regulatory bodies on clean water and renewable resources issues. Prior to joining CASA, Jared worked in the water field over three legislative sessions for a local public agency and a state trade association, and he also served as president of the National Association of Graduate-Professional Students. Jared earned his law degree from the University of California, Davis, and he holds a graduate degree in Sociology from Northwestern University and an undergraduate degree in Sociology from Houston Baptist University. Michael Dillon is CASA’s principal strategic advisor for our state legislative advocacy program. Mike works alongside the CASA State Legislative Committee, CASA Executive Board, and CASA staff to identify and provide strategic guidance on legislative issues of interest to the wastewater community in California. In 2017 Mike joined KP Public Affairs, a prominent lobbying and public relations firm in Sacramento. Prior to his employment with KP, Mike was the President of Michael F. Dillon & Associates, a Sacramento-based lobbying and consulting firm, where he represented CASA before the California Legislature since 1974. Mike previously served as a Coro Foundation Fellow and worked as a legislative advocate for the California Taxpayers Association and California School Boards Association. Eric Sapirstein founded ENS Resources, Inc., in 1986. His firm has focused on legislative and regulatory affairs, consulting for local and regional governments as well as national organizations that serve the public’s interests. Prior to establishing ENS, Eric was a policy and governmental affairs analyst with JSCF, Inc., focusing on regulatory and legislative initiatives. He also served as an associate with LRMC, Ltd., an association management consulting firm, where he worked closely with Congressional committee members and staff. Earlier in his career, Eric represented the EPA before Congress. He advised senior agency officials on strategies regarding waste management, radioactive materials, and clean water policy issues. 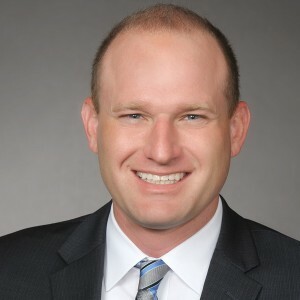 Eric holds a Master’s of Public Administration with a concentration in public finance, budgeting, and urban administration from The George Washington University, and a Bachelor’s Degree in Political Science from Boston University. Sarah serves as CASA’s subject matter expert on issues pertaining to climate change. She tracks and coordinates responses to regulatory issues and policy initiatives that impact the wastewater sector and proactively engages state agencies in discussions on both mitigation and adaptation related issues to create opportunities for the wastewater sector in building resilient communities. Prior to joining CASA’s team in July 2016, she served as the program manager for the California Wastewater Climate Change Group, representing the state’s wastewater sector perspectives on climate change issues to local, state and federal agencies. Sarah has also been employed by Carollo Engineers, Inc. serving as their Climate Change Specialist. Sarah holds a BS and MS in Atmospheric, Oceanic, and Space Science, a MSE in Environmental and Water Resources Engineering, and a graduate certificate in the Program of Industrial Ecology from the University of Michigan. Sarah is also a registered professional engineer.